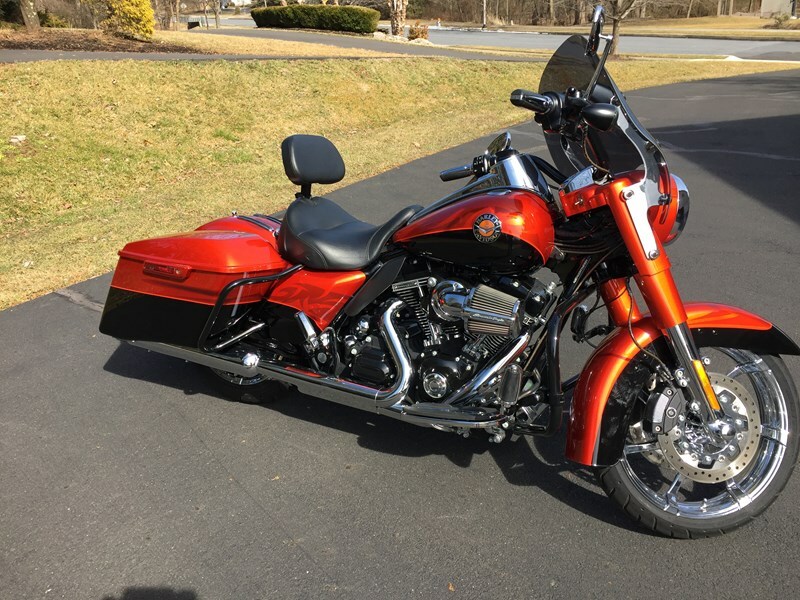 2014 Road King CVO, $19,199 (reduced). Tribal Orange and Black. Perfect condition. 4,326 miles.